Claim your bragging rights before you even lace up your skates! 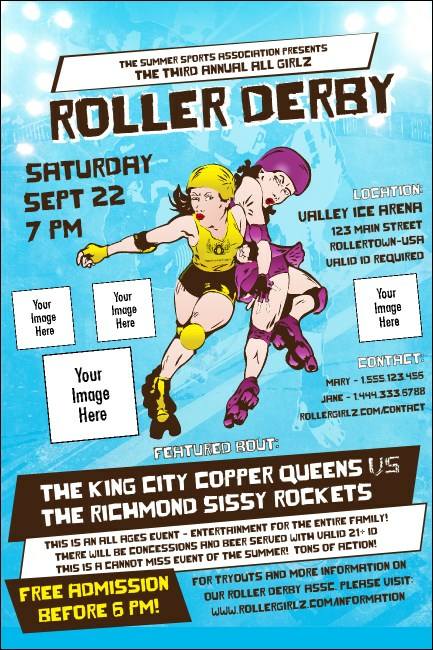 That’s right, with Roller Derby Jammer Posters you can advertise your upcoming bout and smack-talk all you want. With a screaming blue background and two serious sisters duking it out for the lead, not to mention the option to upload four images to the template, these Posters speak for themselves. You’ll never be a poser with Posters from TicketPrinting.com.